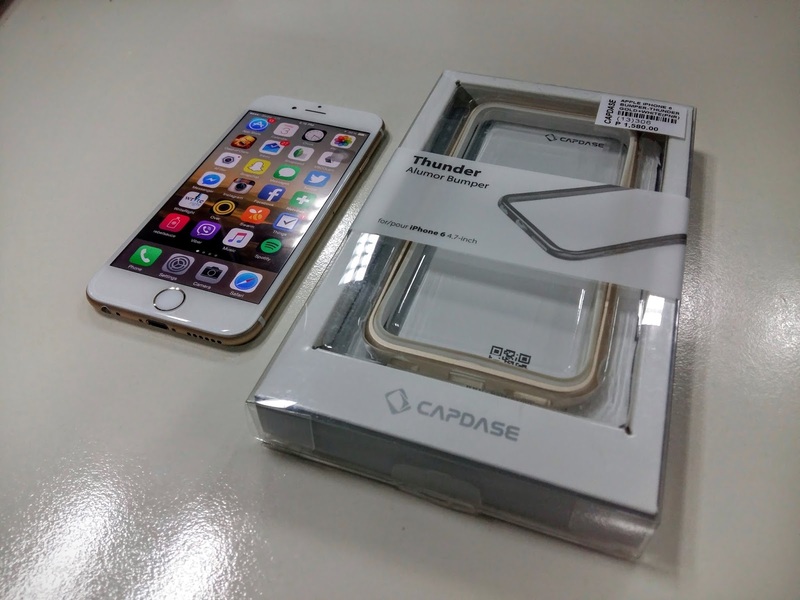 We tried the Capdase Thunder Alumor Bumper case for iPhone, and we're loving it so far. 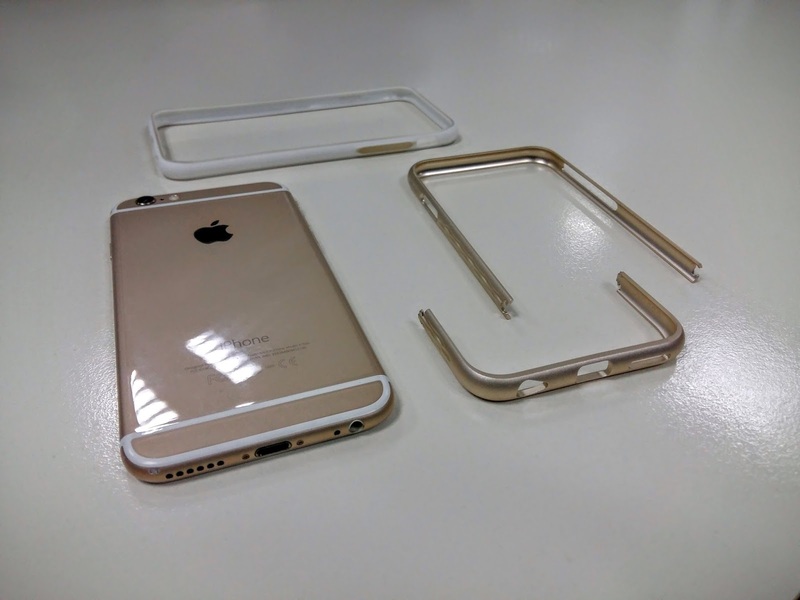 Looking for a case that will give intensive protection to your iPhone 6? Check this one out. Of all the Capdase cases that I've tried, the Thunder Alumor Bumper Case offers the best protection for my iPhone 6 without design trade-offs. If you want your iPhone to be as minimalist as the Capdase Meteor case without you worrying that it might get scratches on the top and the bottom side (lateral sides of the phone), this one is for you. The Capdase Thunder Alumor Bumper Case has probably the most elegant design philosophy in the bucket-full of Capdase cases I used. It comes with the same hue as the gold iPhone 6 and is defined by the sculptural design that fits the iPhone 6's contour. Sliding the iPhone into the bumper case makes it look like an extension of the smartphone. It may come with an obvious addition to the length and width of the iPhone; but the depth is quite negligible. 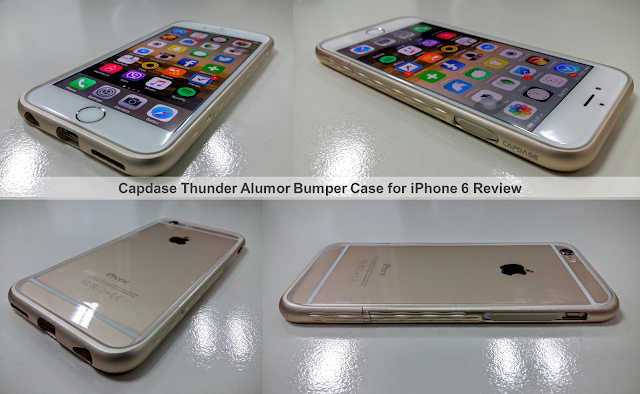 Plus, my issue with the iPhone 6's protruding camera has also been solved by the Capdase Thunder Alumor Bumper Case. The sides of the case are accented by a protruding wave pattern that'll help users have an easy grip on the iPhone. Speaking of grip, the Capdase Thunder Alumor Bumper Case comes with a premium metal feel like the anodized aluminum of iPhone 6. Aside from the two-part bumper, the module also includes the inner rubber protector that will wraps your iPhone 6's sides before being inserted into the metal bumper. The rubber comes with complete access to all buttons - power (sleep/wake) and the volume rocker. Likewise, it also comes with holes (that is also compatible with the bumper holes) for easy access of the mute toggle, Lightning port, 3.5-millimeter audio jack; and the speaker which is now centralized in one direction. However, unlike the Meteor Case, I don't like the fact that the bumper case hampers the feel of the 2.5D curved glass on the edge of the iPhone 6. It technically covers the continuous glass surface in favor of the edgy case. Other alternative Lightning connectors will also have a hard time accessing the Lightning port if it goes beyond the standard Apple connector measurements. The Capdase Thunder Alumor Bumper Case for iPhone 6 is pretty neat. Using it makes my handset do more because I don't have to worry about my iPhone getting unwanted scratches. With the Thunder Bumper case, productivity comes in handy in its practical Php 1580 asking price.